Poll: When did you buy your first cell phone? 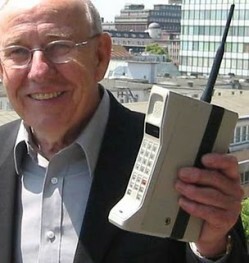 When did you buy/get your first cell phone? Amen to that. Just last week, Lindsey and I had some guests over for dinner. While eating, a cell phone rang and one of the guest answered it and began talking on the line during the meal. They didn’t even bother to excuse them self and take the call into another room. Now I know emergencies happen, but they can’t make up more than 1% of mobile calls. Call me old-fashioned, but what’s the rush in answering cell phones? Are we really that important? And please, everyone put their phones on vibrate, and at the least, don’t answer them during dinner.